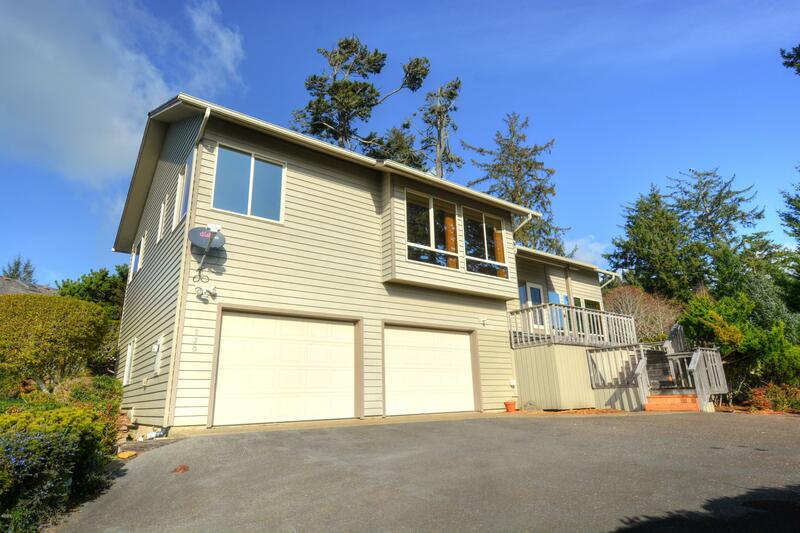 This very well maintained 3 bedroom 2.25 bath home in Alsea Highlands is a pleasure to see. Vaulted ceilings with plenty of windows to bring in the natural light. Stunning views of the wind swept trees, the Alsea Bay with all the activities going on, the ocean, the beautiful bridge lights at night, and the local nesting eagles. See through wood fireplace from the living room to the dining room. A large expansive kitchen with plenty of counter and cupboard space. The large master bathroom suite with jetted tub, double sinks and shower has the most amazing views of the ocean and the Alsea Bay. Lovely mature landscaping with natural shrubbery surround the home. Oversized garage with small bath and utility room on the lower level. Just a short distance to downtown Waldport.